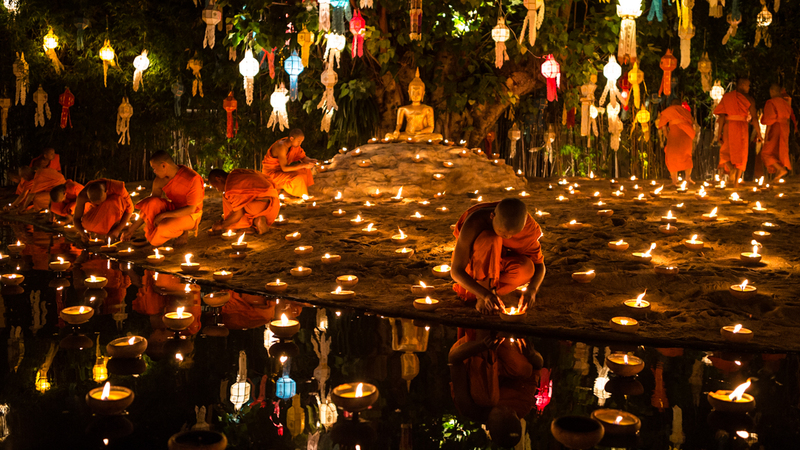 Loy Krathong (ลอยกระทง), is a colourful festival held every year on the full moon of the twelfth month in the Thai Lunar Calendar. 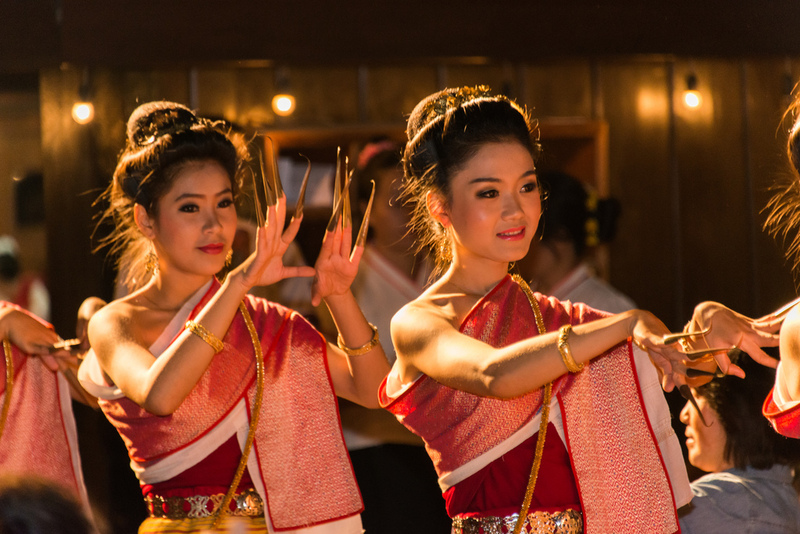 This Thai Festival is held all over the country, but there are particularly beautiful celebrations held in Chiang Mai, Ayutthaya and Sukhothai, where the celebrations take place over several days. 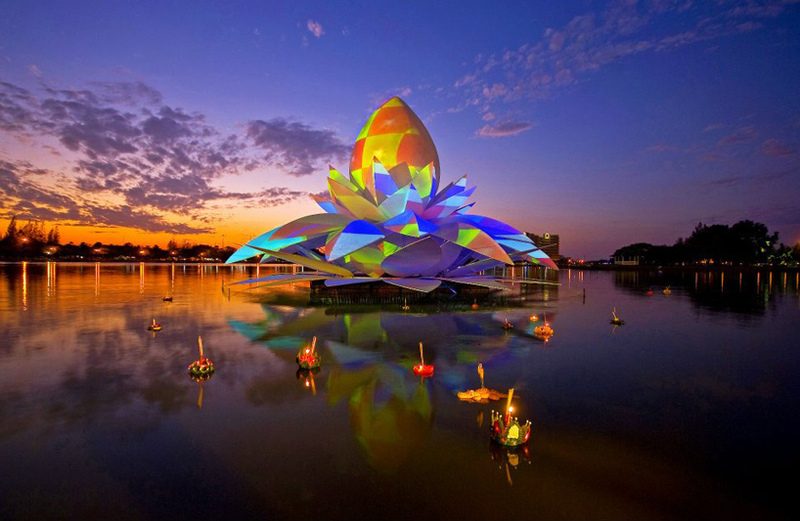 Celebrations are now held throughout Thailand including Bangkok, Phuket and Pattaya, as well as parts of Myanmar (Shan State) and Laos. 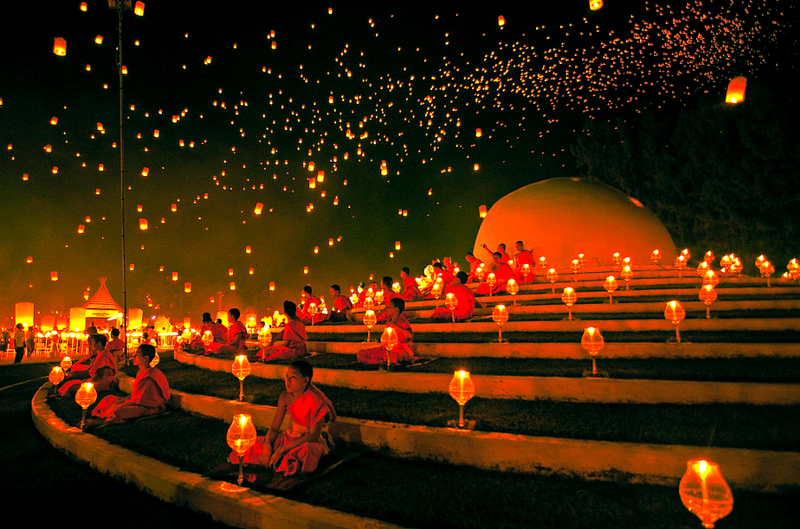 It is believed that Loy Krathong is an ancient Brahmanic or Indic festival. Originally it was a ceremony where people paid their respects to three different gods known as Phra I-Suan (Shiva), Phra Narai (Vishnu) and Phra Phrom (Brahma). 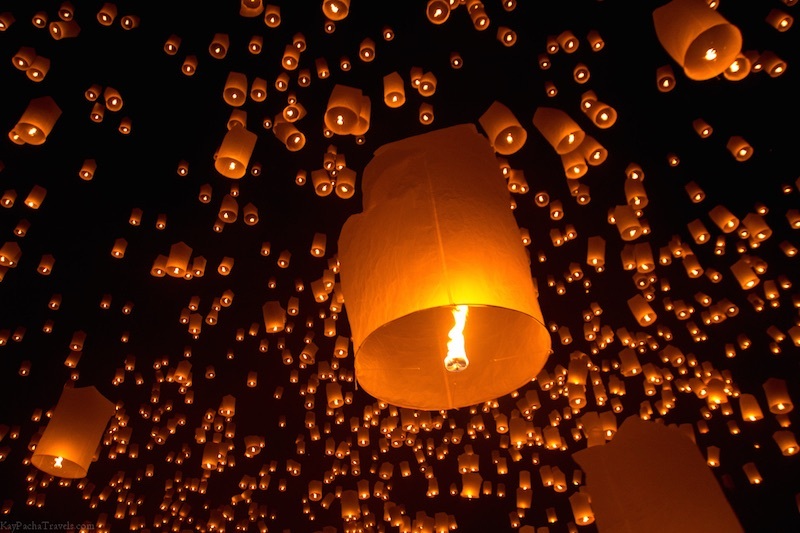 People would make lanterns using candles and paper, which would then be displayed in the homes of royalty, rich people or high-ranking officials. One hundred and fifty years ago, at the urging of King Mongkut (Rama IV), it was later adopted by Buddhists as a ceremony to honor the Buddha. In this new version people would make various kinds of lanterns, which would then be donated to the temples. At this time people would say prayers to ask that their wishes and hopes for the future be fulfilled. Of course, many of the former beliefs are still retained by some Thai people. 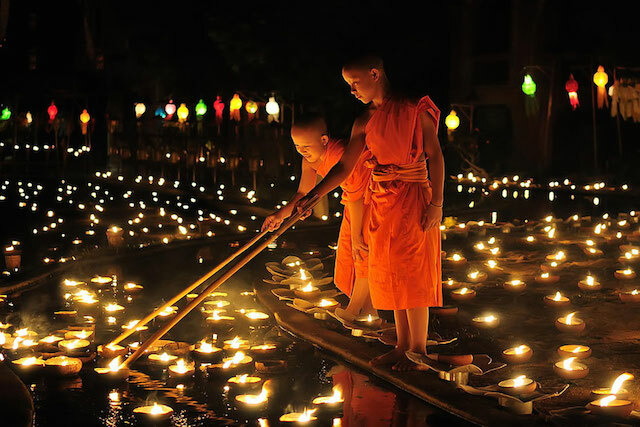 The lights that are floated down the rivers are meant to symbolise the drifting away of bad luck and misfortune, but for many Thai people it is also an opportunity to honor the goddess of water, Phra Mae Kong Ka (พระแม่คงคา). Kong Kais the Thai form of Ganga, the Hindu goddess of the sacred Ganges river in India.